Prices for our single light bulb letters start at just £98 but we also provide whole giant words of your choice that can be tailored to suit the content of any film or television show. 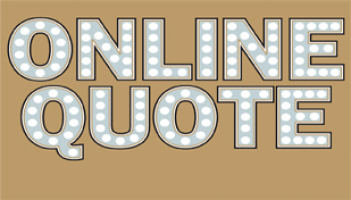 We will deliver your props anywhere in London and across the UK. 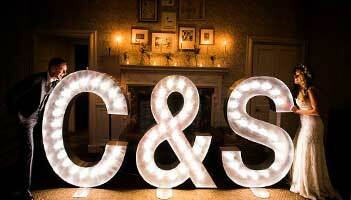 Our carnival marquee letters are the perfect prop if you need to film a reception or evening party. 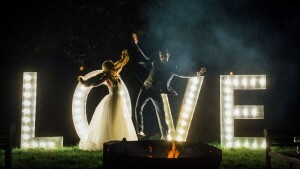 Picture the bride and groom dancing in front of a 5-foot illuminated LOVE sign. 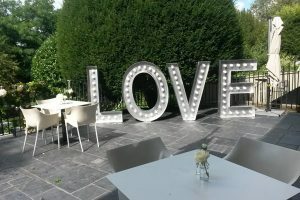 The lighted love letters look stunning on camera and act as creative and visual film and TV props that truly set a scene. You can create an instant centrepiece to any wedding scene which looks equally spectacular in a studio setting or out on location. Light bulb lettering can even be used outdoors for events, so if your shoot is taking place in the grounds of a castle or stately home, you can relax knowing that the illuminated numbers and letters would provide the perfect finishing touch as the sun sets. Why not inject some Hollywood glamour into your film or TV set? If you need accessories for a prom or party scene, our props can transport the viewer straight to the bright lights of Broadway or Hollywood, providing the perfect backdrop for capturing the excitement and glamour of a glitzy party. 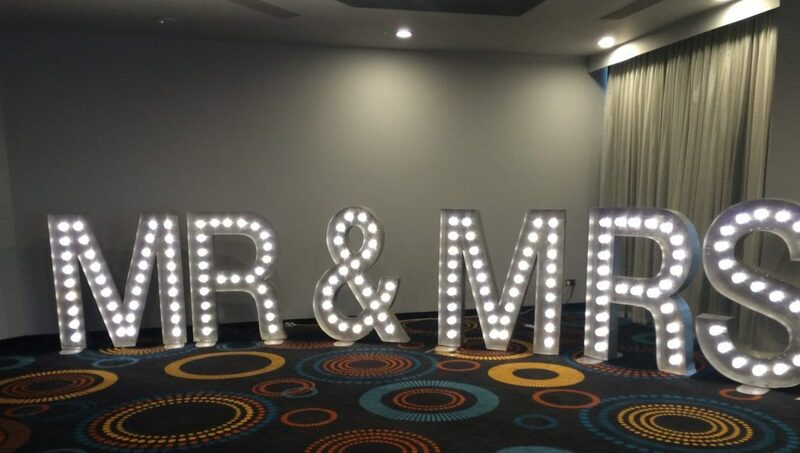 Additionally, the giant decorative metal letters look fabulous next to a dance floor or in a marquee and are exceptionally versatile, working in a wide range of locations. 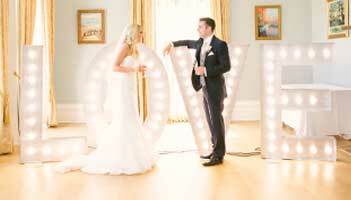 Our fabulous lighted metal letters and numbers are ideal if you want to style your set in vintage chic. 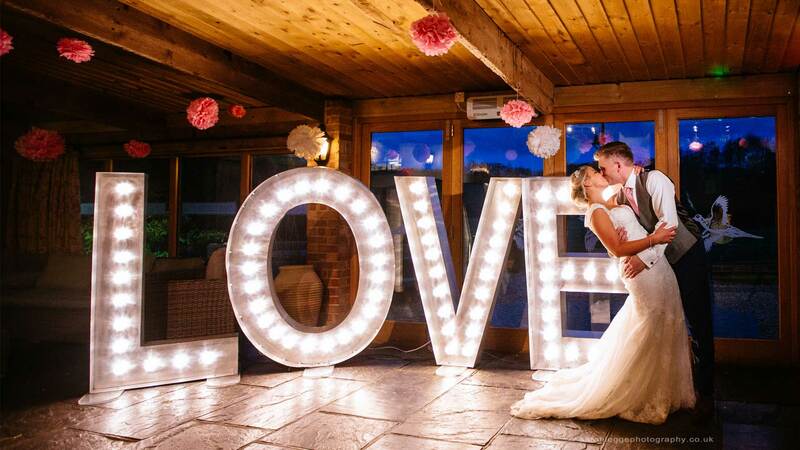 Signs with light bulbs are ideal if you are filming a vintage summer wedding with fairy lights, floaty dresses and flowers – the final effect will look fabulous on camera and can perfectly capture the magic of the 1920’s. Whether you’re filming a glitzy party or a schoolgirl’s prom, we have a fantastic range of fairground style lights which will instantly create glamour and sparkle at your event. We can deliver anywhere in London and across the UK and will be happy to offer advice on how to get the most out of our products. 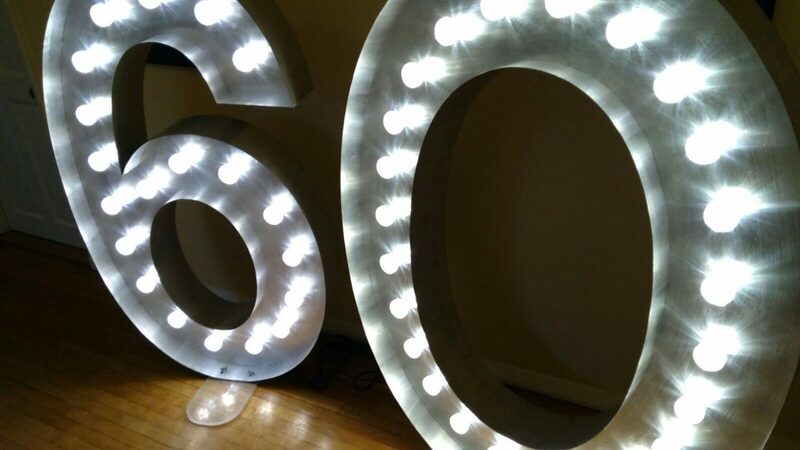 If you’re looking to hire props in London to create a stunning visual effect at your next event, then our light bulb signs are a unique and perfect solution. For more information, visit our FAQ page or contact us for a quote.